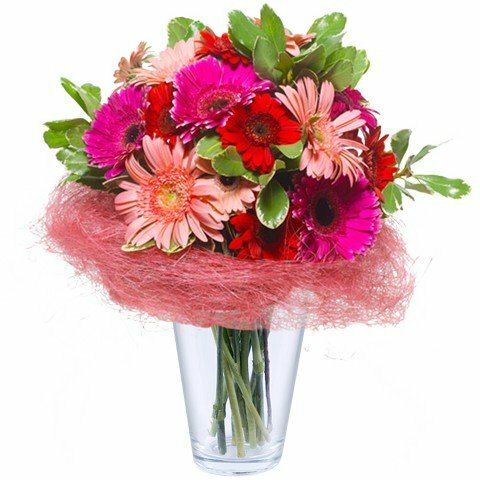 Red and pink gerberas in a bright bouquet for a special person. Gerbera flowers delivered to over 100 countries with FloraQueen’s international delivery service. Fall is a time of beautiful natural colours and if you know someone who's celebrating at this time of year our online catalogue of Autumn flowers will be able to delight your loved one. If it’s a special occasion for them, or you just want to show them how important they are to you, then you have come to the right place! With FloraQueen you can select just the right surprise. With our wide selection of Autumn flowers, in beautiful shades of orange, yellow and red and with varieties of carnations, roses, and lilies, you are sure to find just the right bouquet to make this Fall their best ever. 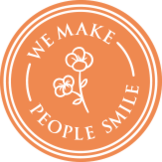 Imagine our florist carefully preparing your floral arrangement and hand delivering your fall flowers to the recipient. There are no words to describe the smile, the excitement, and joy of the person who will receive the gorgeous autumn flowers. Hesitate no longer, choose one of our bouquets of fall flowers and celebrate with your beloved ones a special occasion. The Fall colors will warm the heart of your special someone! When it is the birthday of someone special who is far away, you want you want to send the perfect message to show them your love and affection, but there’s one problem, the distance! The miles separating you from that special person you love are many and it may difficult to show your love for them across that great distance. This is what FloraQueen was made for. We are here to help, to make their birthday more colorful and more fun. With this selection of Fall flowers, you will easily be able to tell them how you feel even across from far away. Orange flowers, and white flowers of various shades have all been specially chosen so that your gift is perfect and so that the recipient smiles with joy when they receive it. For a special occasion, such as a birthday, select the perfect flowers that will help express your sentiments. You can also add a note to enrich this gift and express yourself even further. With our international flower delivery, you can easily send flowers to the United States, Great Britain or 100 other countries!